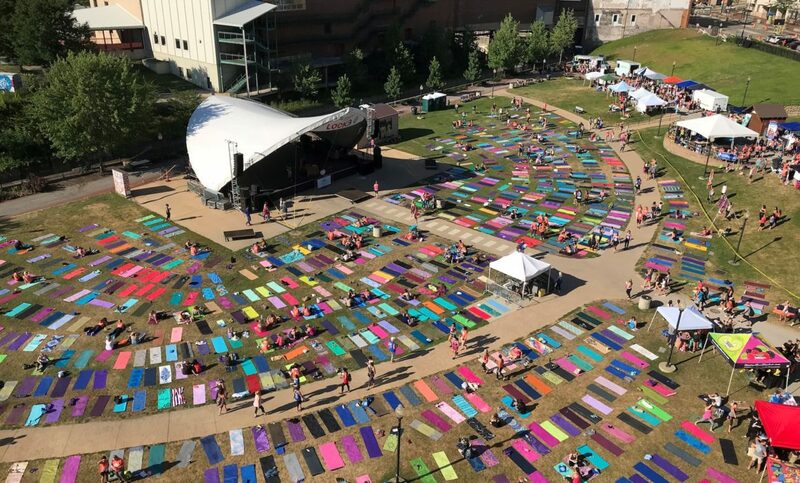 For the second year in a row TKM sponsored the annual Elevate Akron outdoor yoga festival held at Lock 3 Park in downtown Akron. The July 19 event marked the fifth year for the annual festival. This year TKM was one of five Supporting Sponsors. 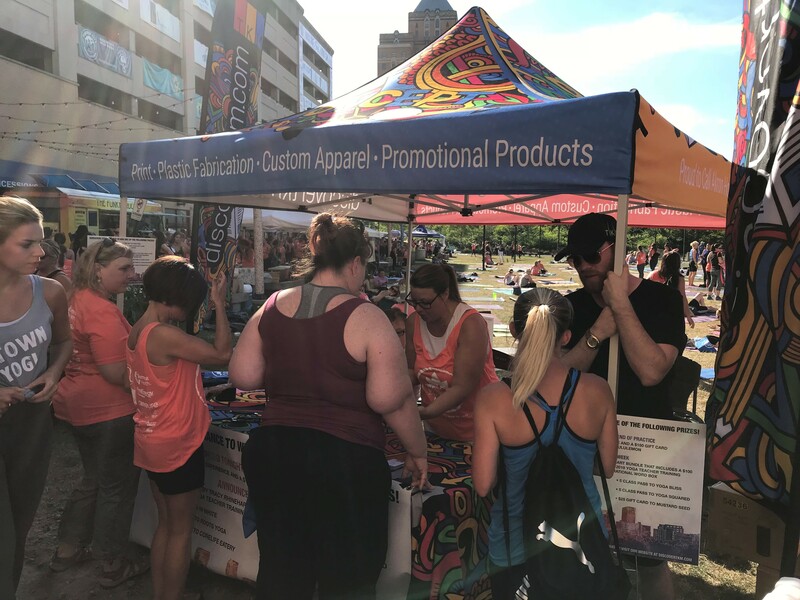 Other sponsors at the Supporting level included Lululemon, Summa Health, First Energy, and CoreLife Eatery. Here are some photos from this year’s festival. 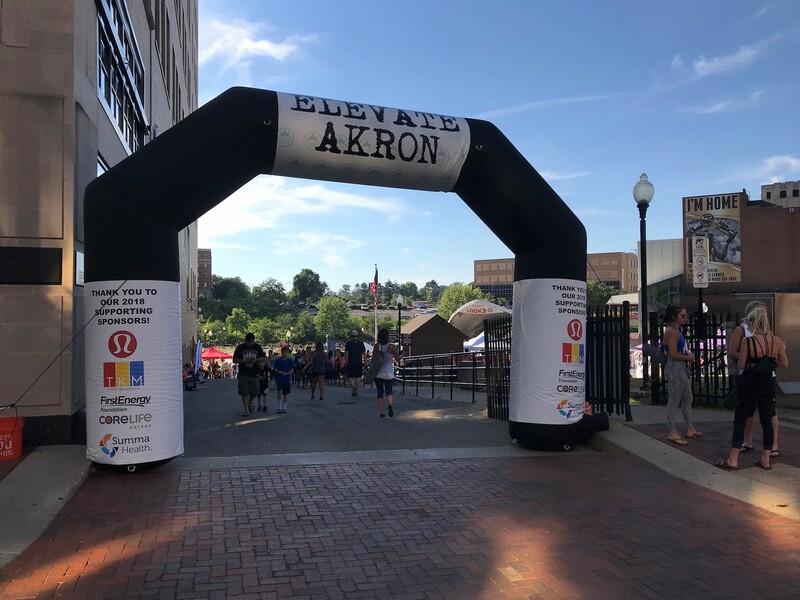 This inflatable archway greeted festival goers as they entered Lock 3 Park. TKM provided this inflatable, the graphics on it, the event signage, as well as the official Elevate shirt, bag, and seed planter that participants received with their registration. The food trucks and vendors are a big part of the festival, which opens for registration at 4:30pm and runs until 10:00pm. 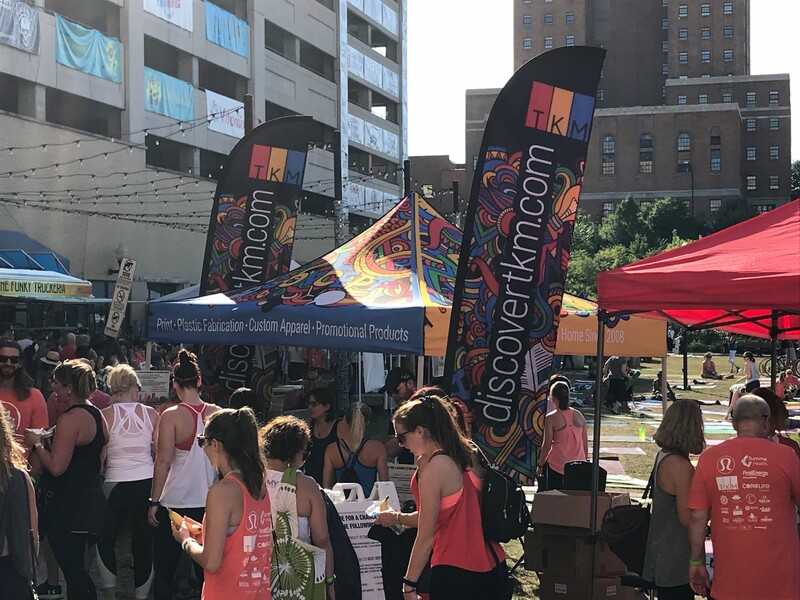 TKM hosted a hospitality tent where we gave people free yoga-themed glass water bottles, apparel, and limited edition Elevate coasters as incentive to subscribe to our TKM Promo email list. Festival goers who subscribed to the TKM Promo email list were also entered in a chance to win several prizes. 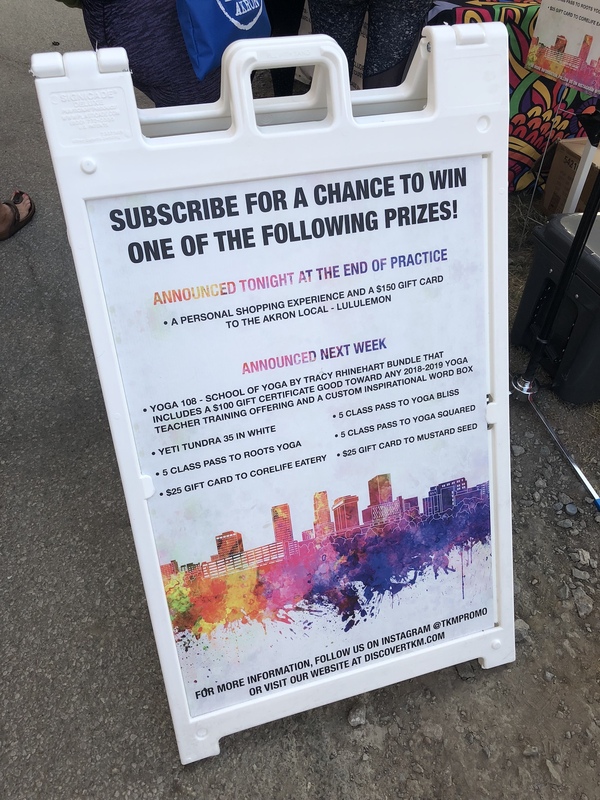 Winners of the $150 personal instore shopping experience at Lululemon and YETI Tundra 35 cooler were announced at the festival after the all-levels Vinyasa yoga class. 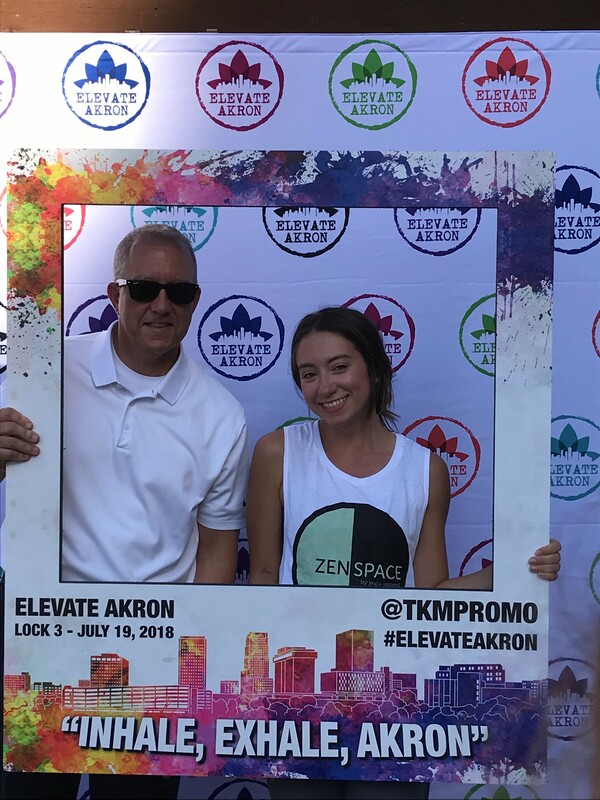 Akron Mayor Dan Horrigan visited the festival and posed for a photo with his daughter Cassidy inside the TKM selfie frame. 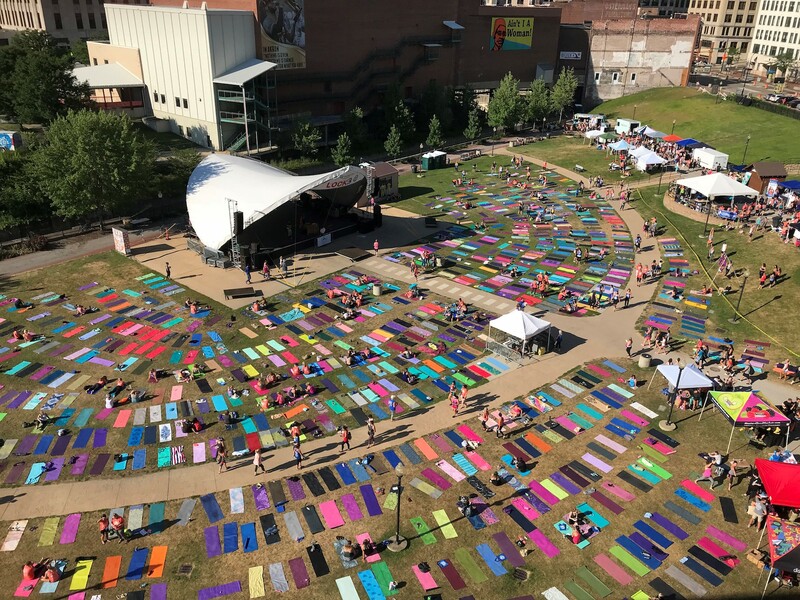 The array of colorful yoga mats throughout Lock 3 park creates a compelling image. 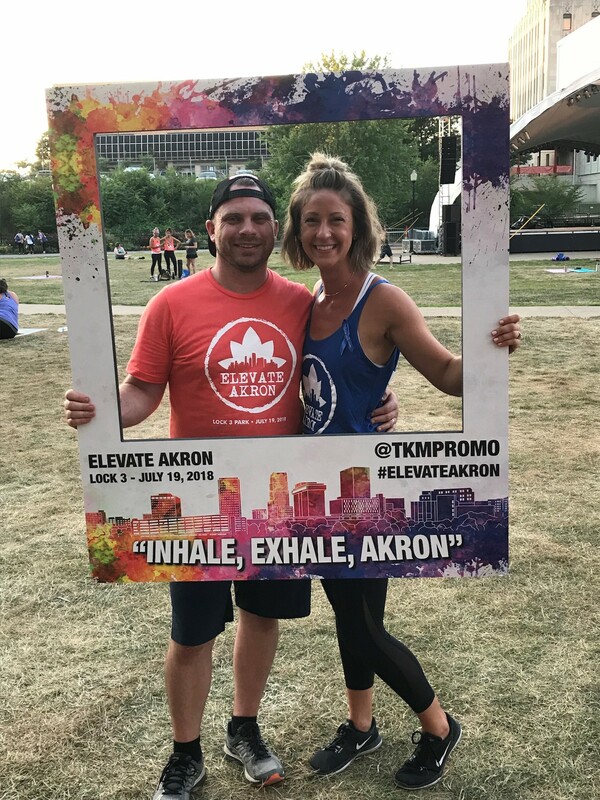 TKM President Luke Messner pictured here with his wife, Serenity, who served as the official Event Coordinator for the 2018 Elevate Akron festival. 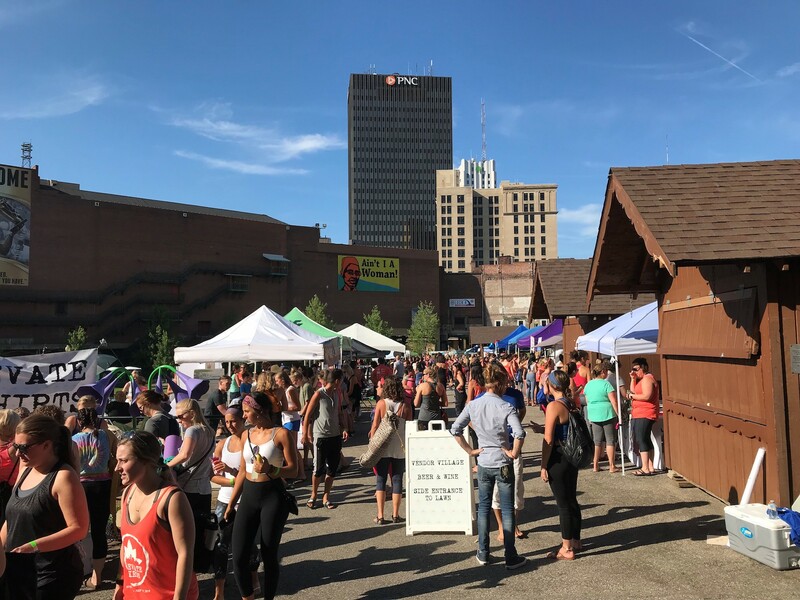 (Learn more about Serenity and her Elevate Akron colleagues in this July 26 article from thedevilstrip.com.) Congratulations on a great event, Serenity! This year the festival enjoyed fantastic weather and a most lovely evening. 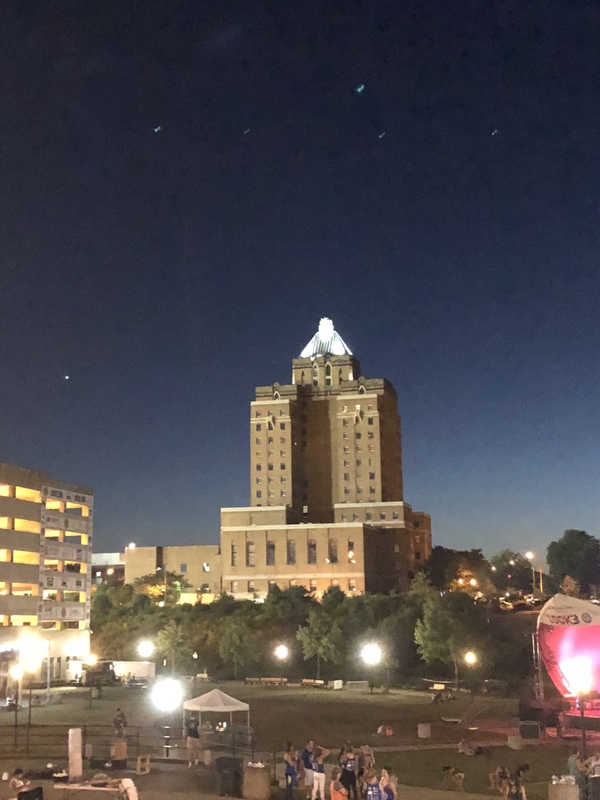 This shot captures the iconic Akron YMCA Building situated against an enchanting summer sky viewed here across the Lock 3 park. 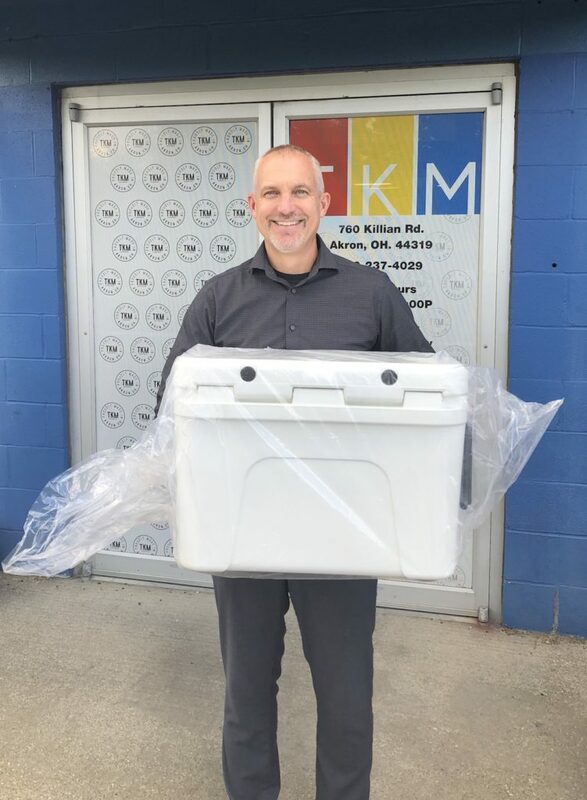 At the festival Dave Bard was announced as the winner of the YETI Tundra 35 cooler from TKM. Here is Dave retrieving his prize a few days later from TKM’s production facility.